Months after a controversy over a central order on the use of Hindi in social media posts and official communication, the Bharatiya Janata Party (BJP) has found itself in the middle of a fresh controversy over politicisation of education. The fresh incident relates to a recent central government circular on Teachers’ Day celebrations that saw southern parties, including the ruling party’s own allies, suspecting it as a bid to rename the day to “Guru Utsav”. Moreover, participation was being perceived as being made mandatory for schools. Calling the criticism ‘politically motivated’, HRD minister Smriti Irani clarified that Guru Utsav was the name of an essay competition and claimed that over 1.3 lakh students have already taken part in the contest. She further explained that participation was “voluntary” and that September 5, the birth anniversary of former President Sarvepalli Radhakrishnan, will continue to be celebrated as ‘Teachers’ Day’. “This particular activity is voluntary in nature. If it is being politicised, then I would say it is regrettable,” Irani said. 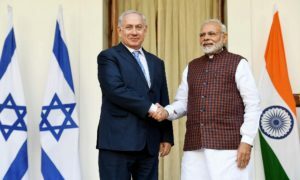 Calling it a ‘political propaganda’, Congress party spokesman Abhishek Singhvi said: “It has never happened … what sense can a Class 1 student make of the PM’s speech? Can such propaganda be done with state machinery? What is the net result besides propaganda and drama? It is time the government introspected.” The scheduled timing of the PM’s speech —from 3 to 4.45pm — have also been attacked. 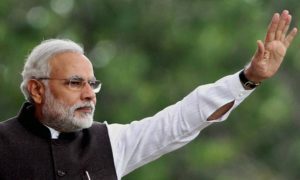 Modi will be interacting with around 1,000 selected students at the Manekshaw Auditorium and take questions via video conferencing facility, which will be beamed live to over 18 lakh schools through Doordarshan and education channels.